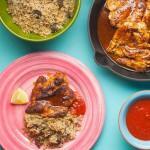 Discover new recipes and share amazing food every month! 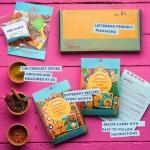 Each month we will send you 2 of our favourite recipe kits! We have an enormous range from Sarawak Laksa to Moroccan Tagine, Nigerian Suya Kebabs to Rogan Josh and every month we'll select the two most popular kits and send them to arrive directly through your letterbox! We travel the world discovering new and exciting recipes and then create carefully measured spice blends to send alongside our exciting recipes. The first box is sent to the address you give us, with a voucher card inside. The recipient activates the voucher to receive the remaining boxes at their own address. Please note if you have ordered a single box this will not include a voucher. 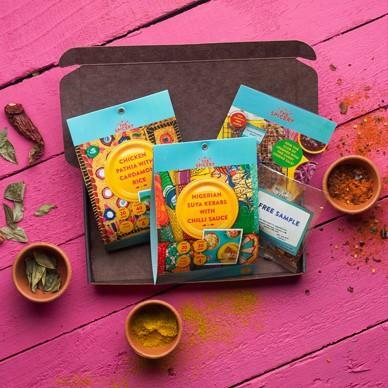 Be the first person to tell us what you think about The Spicery&apos;s Recipe Kits and you'll save £2.50 on your next purchase!